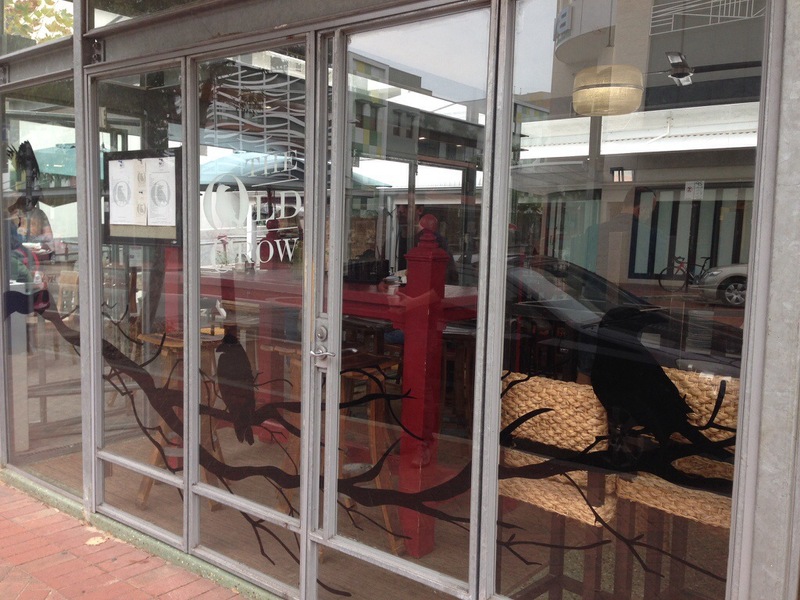 The Old Crow is one of the hottest cafés in Perth right now, you’ll find them in Northbridge, near the Tuck Shop. They haven’t been around for long, but they’ve built up quite a reputation for amazing food and drinks. Their introduction of breakfasts is a recent phenomenon, and some thing you’ll only be able to partake of on weekends. 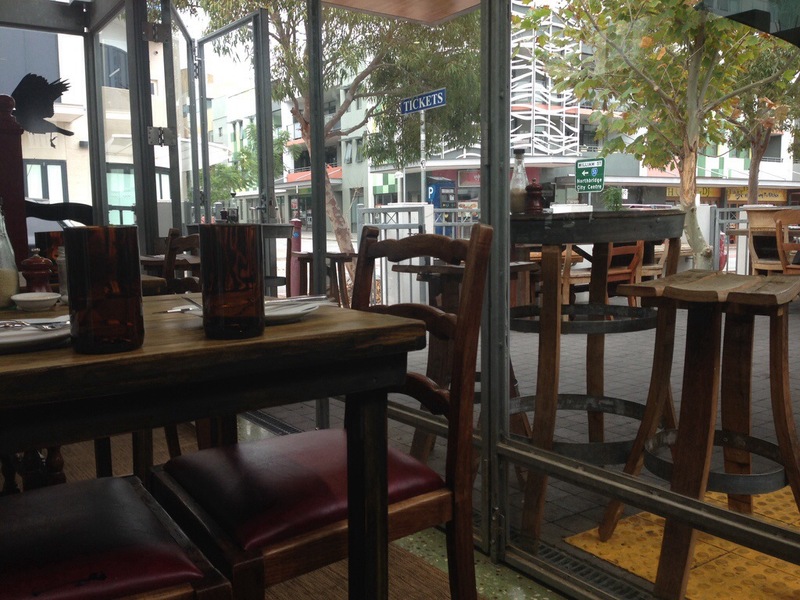 The cafe itself is lovely and light, it just exudes good vibes for a Sunday morning. The openness of the cafe and the wood furnishing just add to it’s charm. We were seated and served promptly, we arrived early to ensure we were able to get a table, but other more organised foodies were smart enough to book ahead. 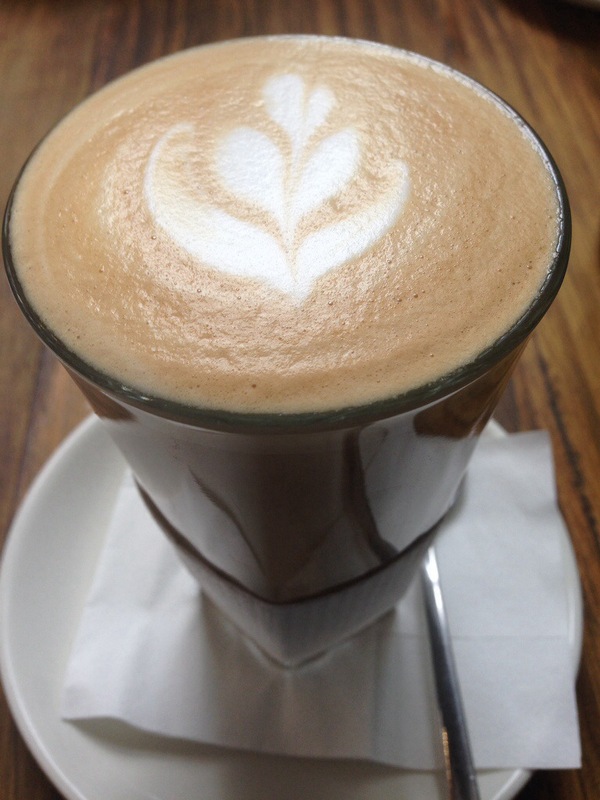 As always we started our breakfast with lattes. Despite their appearance the coffees were fantastic. They had a rich flavour and were the perfect temperature. We were happy to order more as takeaway when we left, and as they were equally enjoyable, the Old Crow will be added to the list of those cafés that pass the second coffee test. There’s plenty of wonderful things on the menu, and much deliberation went into what to have. The selections here are more fine dining than the usual breakfast staples and Old Crow make use of the best seasonal ingredients in their dishes. 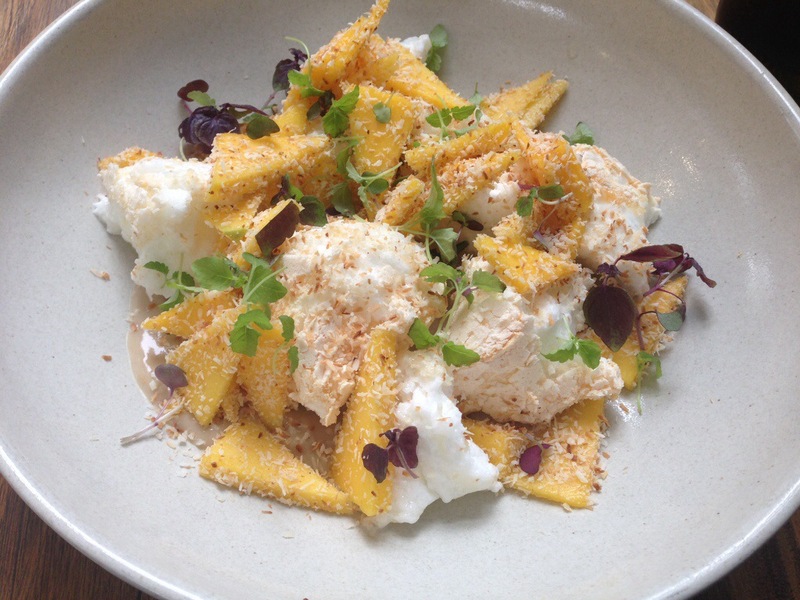 Our first selection was a pavlova, with molasses and coconut custard, mango and roasted coconut. This was a light and refreshing breakfast, the mango had a nice sweetness, but the predominate flavour came from the coconut. The custard was quite a subtle and mellow flavour, with a creamy and smooth texture. Lastly the pavlova had a nice crispness to the outside, though could have been a touch firmer. As a whole this was a subtle and nuanced dish, with some interesting flavours, that left you feeling satisfied but not over full. 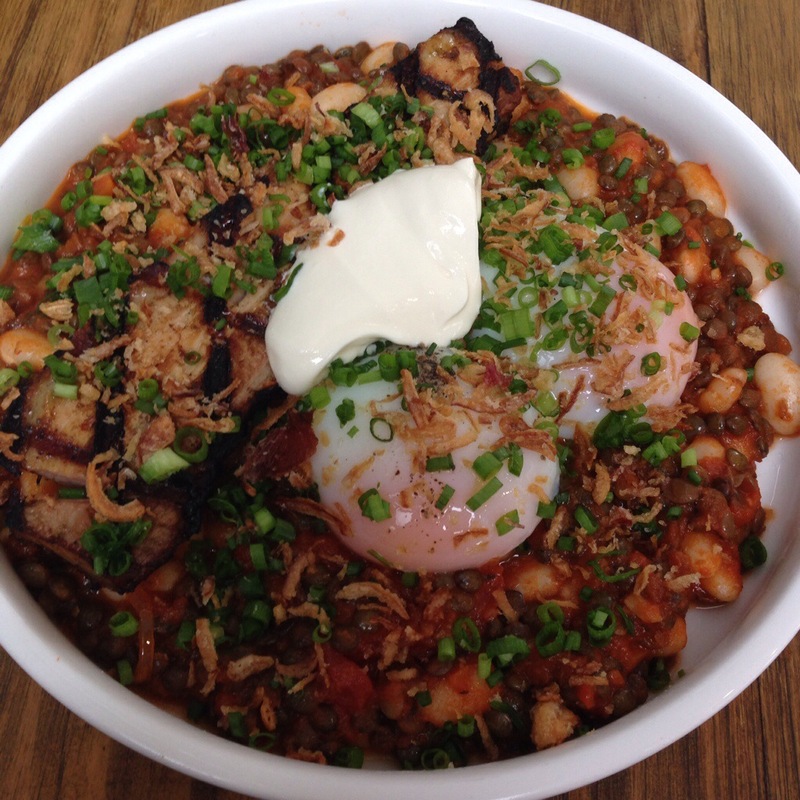 Our second dish was the cowboy beans, with jerk pork and slow cooked eggs. It was in total contrast with the pavlova, this dish was rich and meaty. We’re not quite sure what made them cowboy beans exactly, but the beans and lentils were tasty nonetheless. The jerk pork was nice and tender but had quite a strong flavour that needed the beans to balance it out. We ordered a side of toast but probably didn’t need to, it was such a filling dish. Old Crow do an excellent breakfast, unlike anything you’ll find anywhere else (save for perhaps No4 Blake Street) and we look forward to tasting more of their food in future!